What and where was the Coldharbour? A Coldharbour or Cold Harbour or Coal Harbour derives from Saxon times and describes a cold abode, a cold retreat. They could be found all over England. Olive Walker estimates some 200 Cold Harbours scattered about the country. Often said to be a place where wayfarers perhaps particularly drovers could safely rest their stock overnight on a journey to market or back. One assumes that over time a Cold Harbour that was well used and popular, would have a service industry develop around it. 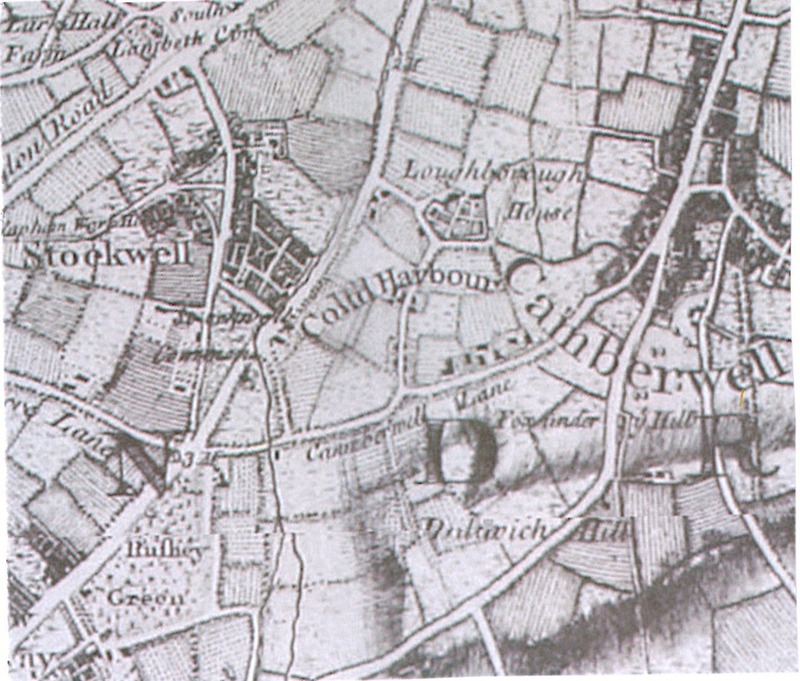 The Cold Harbour is not often mentioned in local histories of Camberwell or Brixton. 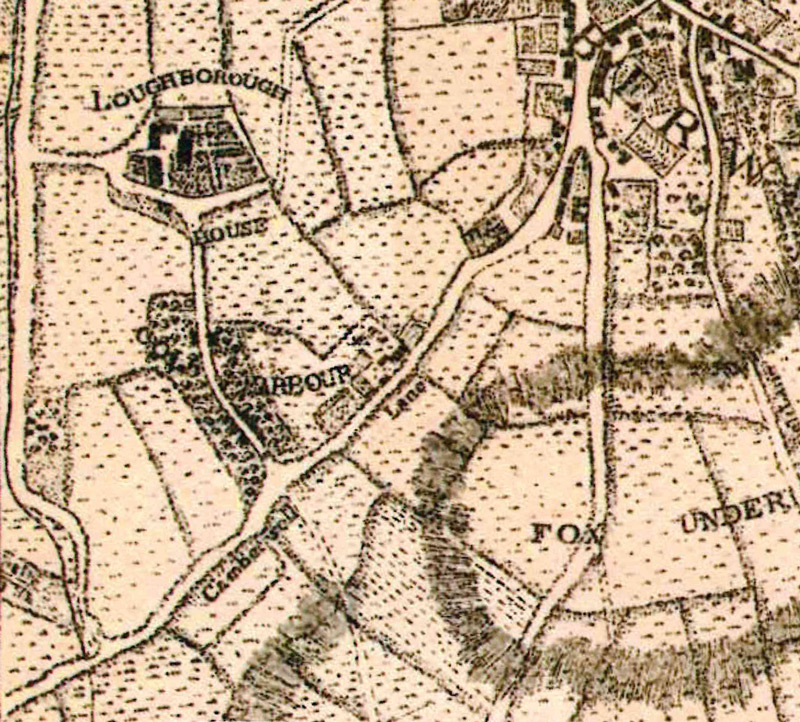 However, Olive M Walker suggests her book, A Tour of Camberwell that the Cold Harbour was located within the boundaries of the Manor of Coldharbour which abutted the Lane then known as Camberwell Lane as shown in the following map by John Roque. Here is an extract from Location of Manors and Early Estates found in A History of Brixton by Alan Piper, published by the Brixton Society. it has been super-imposed over a modern street plan. She suggests that it was in the northern corner of the group of buildings shown in the Roque map. The manor comprised ” a mansion house, two barns, a stable, garden, orchard and meadow and pasture lands”. 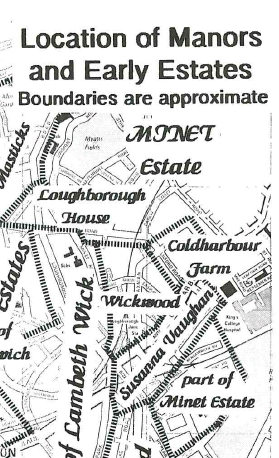 She also mentions the existance of an old Inn on the north side of Coldharbour Lane opposite Harbour Road. I have not turned up any other references to this Inn, to date. This entry was posted in Loughborough Junction, Streets & Roads and tagged Cold Harbour, Coldharbour Lane. Bookmark the permalink.